A starting point the meeting of a community connected to nature and the environment. Desejado better known by Jado. 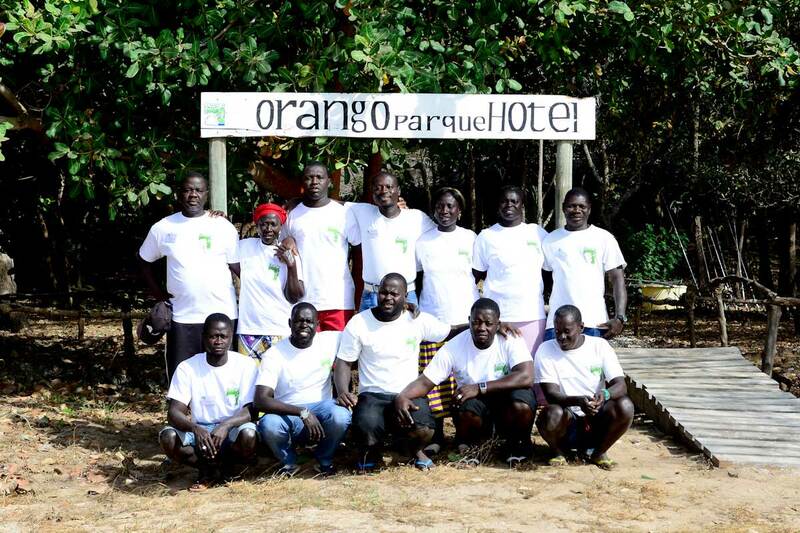 It is the soul and motor of the Orango Parque Hotel, its presence is everywhere, between the workers and the guests. 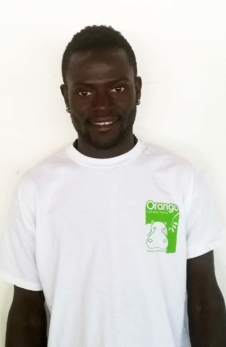 Jado is a Guinean of bijagós descent, and so he feels, although he was not born on the island. He speaks fluent Portuguese, Creole, French and Russian. He holds a degree in history from the University of Vladivostok in Russia. It runs the daily activities of the hotel, so that all the facilities available to guests are perfect from the first to the last day of your stay at the hotel. Jado is a great connoisseur of the Bijagós Islands, of the local culture and traditions, of the fauna and the flora, knows the history of the bijagós, of the Queen Okinka Pampa and of several places of extraordinary natural beauty, thanks to its academic formation and his love to the Island. 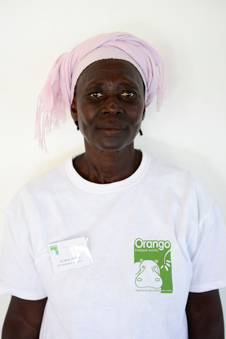 Clara is like a mother; she looks after the guests at Orango Parque Hotel with great care and attention. She is committed to making sure guests feel at home. She takes care of the cleaning and the household items to ensure that guests have everything they need during their stay. Clara is a consummate shellfish collector and she can often be seen with Isabel and Manuela on the beach collecting “combé” and “mangrove oysters” during low tides. You have to try Isabel’s homemade desserts. 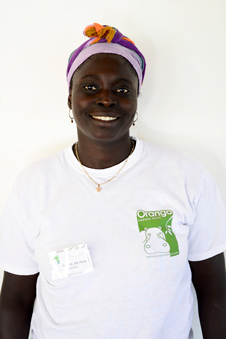 She is a master hand at pastry making and at cooking typical Orango-style rice, one of the most delicious dishes you will taste in Guinea-Bissau. Isabel also cooks wonderful fish and shellfish dishes, sauces and creams, puddings and sponges, as well as a whole host of other delicacies made with tropical fruits such as mango, banana or papaya. 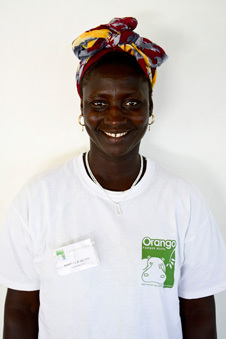 Manuela is responsible for maintaining the rooms clean on a daily basis. She is a happy and an extremely efficient individual, serving guests their drinks in their rooms or in the beach shelters. Manuela helps Isabel and Ignacio in the kitchen to prepare the “tarrafe”, a delicious sauce made with cockles and prawns and served with fish dishes, rice or pasta. Armando is our gardener. 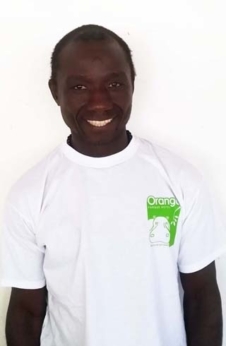 With a light smile, he is constantly active, cleaning the beach, receiving guests, assisting in the unloading of boats’ luggage, watering the bamboo in the gardens around the bar, preparing the barbecue fire on the beach, and giving a hand whenever necessary. Teo is hardworking, responsible and attentive. He provides an impeccable service in the beach shelters, the bar and the restaurant, ensuring that guests have a perfect dining experience. Teófilo is also a highly experienced fisherman and watching him using the traditional nets, four metres in diameter and throwing them nearly fifteen metres by himself, is a quite a sight to behold. Ignacio has been a renowned chef for a number of years. 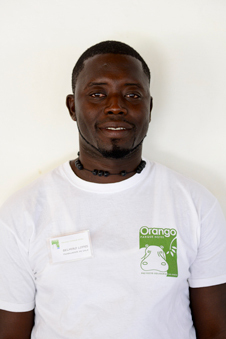 His dishes are praised by guests from all around the world and by the locals from Guinea-Bissau that have had the chance to eat at Orango Parque Hotel. He grills, bakes or marinates his fresh fish, or serves it en papillote, as fish carpaccio or as delicious fish skewers, resulting in unbeatable dishes. But not only fish, his meat and red wine casserole or his Stroganoff are simply delicious. He has a very important role and having such good skipper as Baba gives us peace of mind. Baba can travel between the Bijagós Islands with great ability and without GPS, allowing guests to discover every corner of the archipelago. He has been sailing from the continent to the islands and from island to island since he was a child and he makes sure his passengers have an unforgettable and pleasant experience every time. 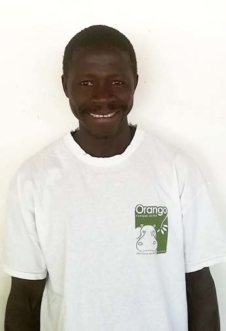 When Baba is on dry land, after cleaning the boat, he helps to collect vegetables and fruit from the trees that surround the Orango Parque Hotel. 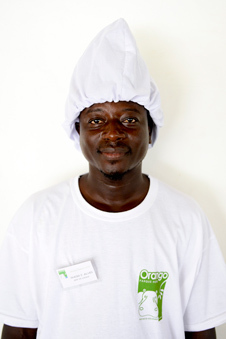 Babano is so versatile that he can work anywhere as he puts his heart and soul into whatever he does. 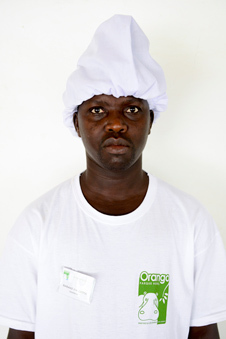 He is essential in the hotel’s kitchen, baking the bread and preparing salads and side dishes. He cleans the fish straight from the sea before it reaches the kitchen. 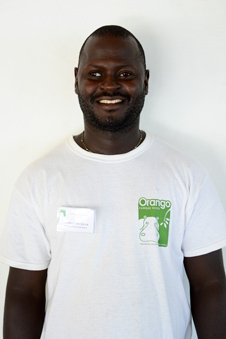 He is also a good skipper and he is responsible for preparing dinner and breakfast in the camp during overnight excursions to the João Vieira and Poilão Marine National Park, the sacred island, where guests can watch the turtles laying eggs. Carlitos is silent and intelligent experienced sailor. He is always alert during the journeys, he is careful to organize each trip. He knows the sandbanks like no one else, and the places where dolphins or birds appear. Responsible for compliance with safety rules during navigation, he inspires confidence and gives calm during the journey. He is undoubtedly a great connoisseur of the Bijagos Archipelago. He is intelligent and always ready, he learns quickly from his colleagues. It is responsible for assistance to the skypper during navigation. Always help our friends when boarding and disembarking on the beach and is alerto to help loading and unloading the luggage from the boats. Belmiro is friendliness personified; drinks in the hotel bar and restaurant are always served with a friendly smile. 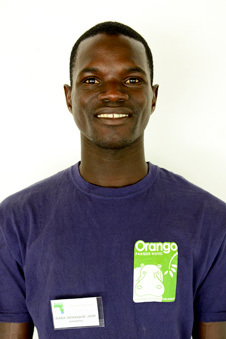 He attends each guest as need and attract them with his infectious smile. 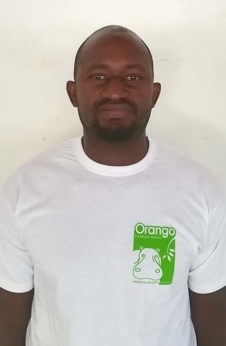 He knows like no one the jungle and the mangroves; he is a magnificent fisherman and the perfect partner to have as guide on walking excursions to Ambuduco, to the Orango logoons, to Eticoga tabanca or Orango salt lakes.